Known to be one of the most common cockatoos, the Galah makes its home in the country side of mainland Australia. In captivity, this bird is known to live up to 70 to 80 years. In the wild, however, they are only observed to life till 20. 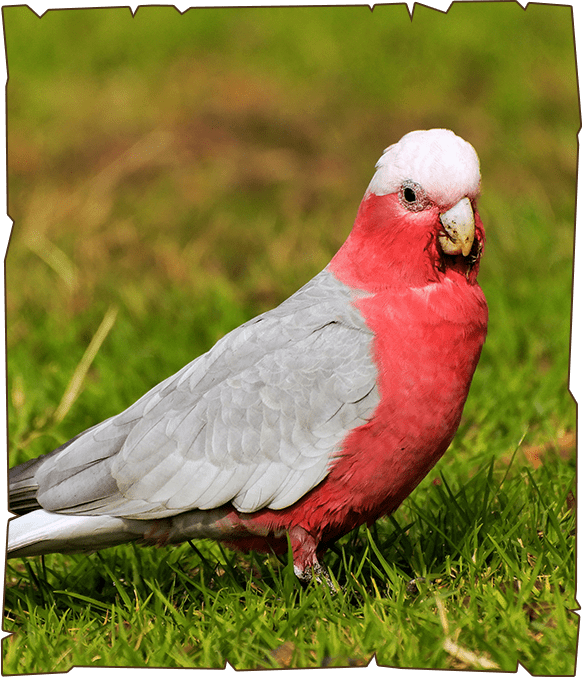 The Galah is found in large flocks in a variety of timbered habitats, usually near water. They like eating vegetation, and small seeds of plants, as well as nuts and berries. They also like to grind or chew objects to keep their beak sharp. Galahs are usually thought of as being playful birds and seem to enjoy doing spins and aerobatics when flying, and hanging upside down when they land in trees or on wires.